An innovative Grease Recovery System with advanced FOG separating technology is becoming the new standard replacing conventional grease traps in all food service sectors. Goslyn recovers 99.6% of the fats, oils, and grease from food service waste water. 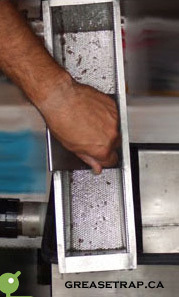 Goslyn recovers FOG from 3-compartment sinks, pot sinks, automatic dishwashers, rotisseries, and combi-ovens simultaneously. Goslyn Interceptors provide superior efficiency, durability, design, and reliability compared to any grease trap, grease interceptor, or grease recovery system on the market. Having a conventional grease trap in a quality food service establishment is like wearing construction boots with an Armani suit. 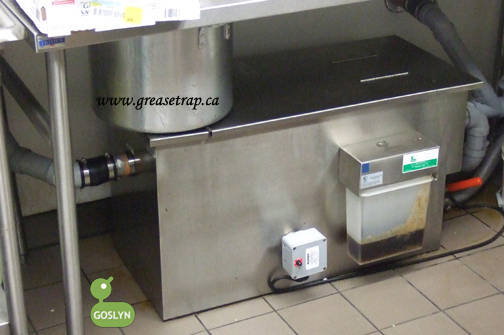 Our kitchen and maintenance staff love the Goslyn Grease Interceptor.